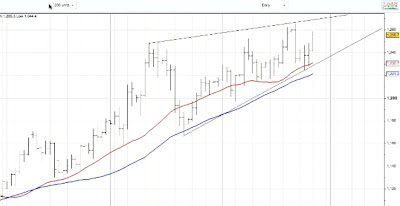 For the past few scrap gold prices technical analysis reports we have been looking at the formation of this wedge. 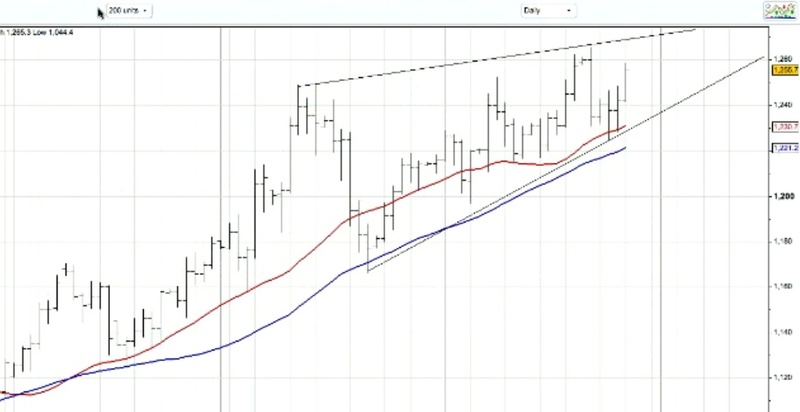 Action over the last week has strengthened the idea of this wedge formation. Friday was a strong up day and it is quite likely we will see an up day on Monday perhaps even nudging above the all time high. This could create excitement amongst gold price analysts as it reaches an all time high. However this is typical action for a topping wedge. I refer you to Euro action as it reached a high in April 2008. For scrap gold prices (the gold price) to look like they are resuming an new up trend once again we need to see a strong push up above the top line and closing 2 days above this line .